Based in Harrow, Middlesex, JB Mechanics provides a friendly, affordable, and professional service, at great value rates. Our Motto is to service the vehicle to the highest professional standard at a fraction of the cost. To help keep your vehicle running with top performance and efficiency, we choose only high-quality parts, and the latest diagnostic testing equipment. Car servicing is vitally important if you want your car to keep going for as long as possible. If you rely on your car to get to and from work each day, or get the kids to school in, then regular car servicing is really a lifeline. Many people try and dodge car servicing because all they can see is the bill they have to pay at the end of it. 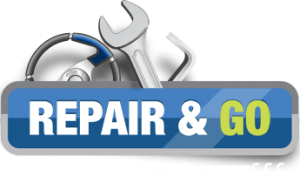 But in reality avoiding regular car servicing can cost you a lot more money, because any minor problems can be picked up on and repaired before they cause a major problem that will result in a much bigger car servicing repair bill. When the time comes that your car needs a service or any other repairs, just call JB Mechanics. JB Mechanics carries out vehicle servicing and repairs to all makes and models. We are available 7 days a week and will attend at your promises.